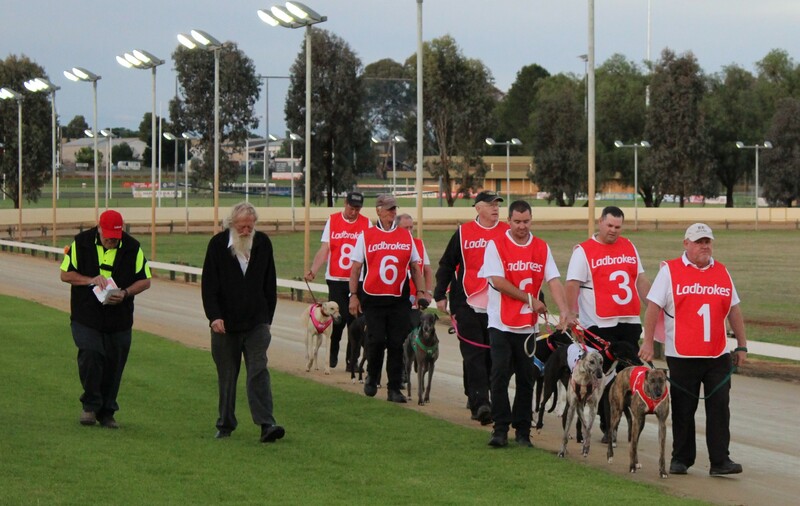 Temora raced on Saturday night with 12 races on the cards, rained all day and the local trots were cancelled but the track was in good conditioned so the dogs raced. It was the clubs annual Memorial meeting where families of past greyhound people name a race and produce a trophy to the winner to remember there family members who have gone. 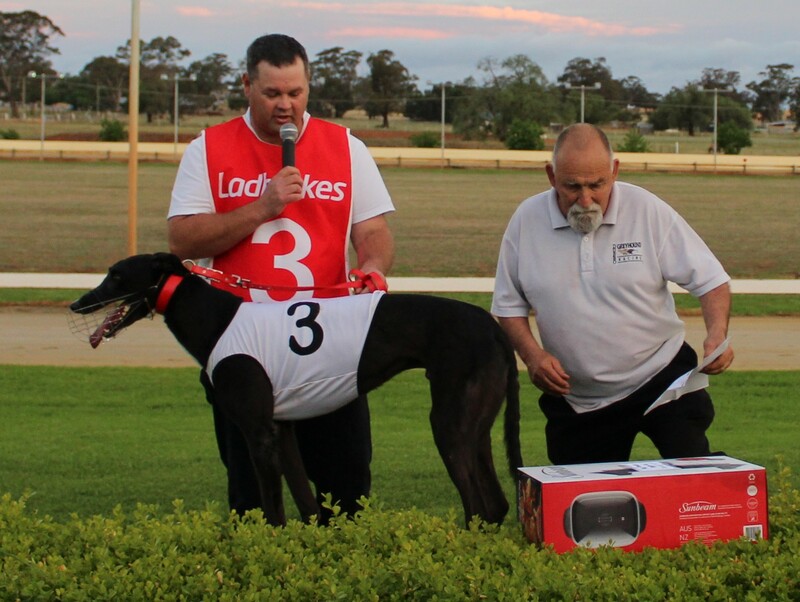 Race 5, Snow Roy Memorial FFA 330m saw a top field assemble behind the boxes and we expected a exciting race and all at track were given a spectacular race to watch. 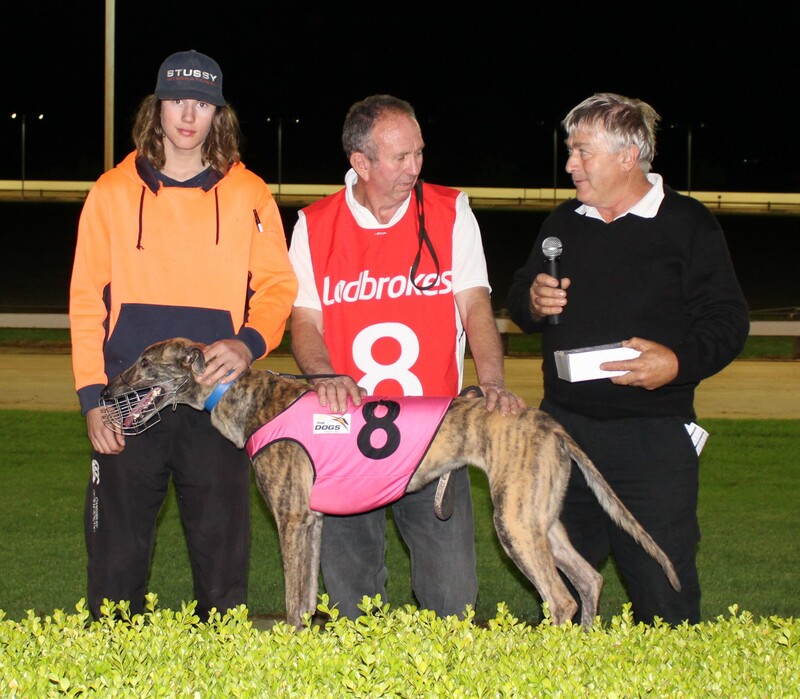 Sugar Man won in a great time of 18.94 for Graham Thurkettle from Harden, by 7 ¾ lengths to Magic Lobo and Becoming A Man. Race 8, Irene, Jeff & Michael Goode Memorial 457m saw Kalimba Unicorn win for Chris Priestley of Dunlop in 27.00 by ½ length to Flash Grant and Our Moo Moo. Cherryl Bradley presented the trophy to the winner for her families race. Race 11, Sam Bradley Memorial, had Mallee Chas win for Graham Thurkettle of Harden giving him a doulde for the night, he won in a time of 19.42 by 1 ¾ lengths to Gotta Little Big and Slow Porsche, Colin Bradley was at the track to do the presentation to the winner. Race 12, George Schwencke Memorial went to Al’s Desire for Terry Okeefe of Cootamundra giving him a double for the night, winning in 18.86 just of the track record by 6 ¼ lengths to Luka’s Choice and Meila Allen. Both Bill and Glenn were on track, but Donna did the presentation to the winning connections on behave of the family.